The SharePoint Org Chart is packaged as a standard web part and can be deployed using the SharePoint Central Administration tool. This article describes the steps required to install and activate the web part using Central Admin. After downloading and extracting the appropriate version of SharePoint Org Chart from here. to upload the solution package to the farm. 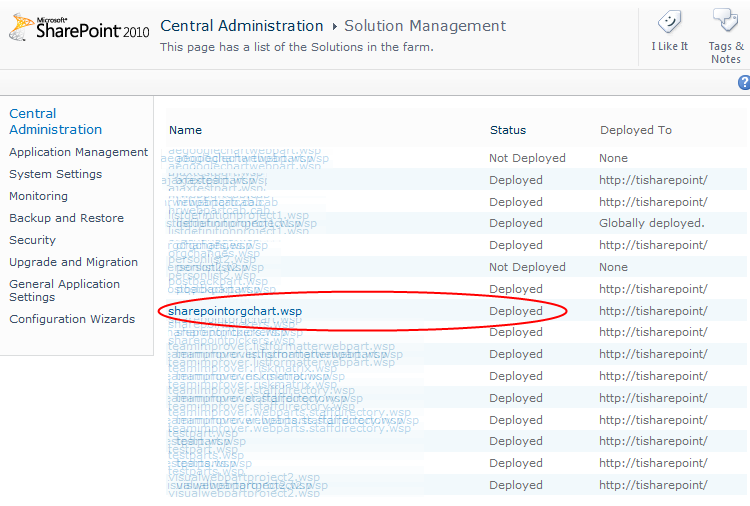 You should be able to locate SharePointOrgChart.wsp in the list of web parts and its status should be Deployed. 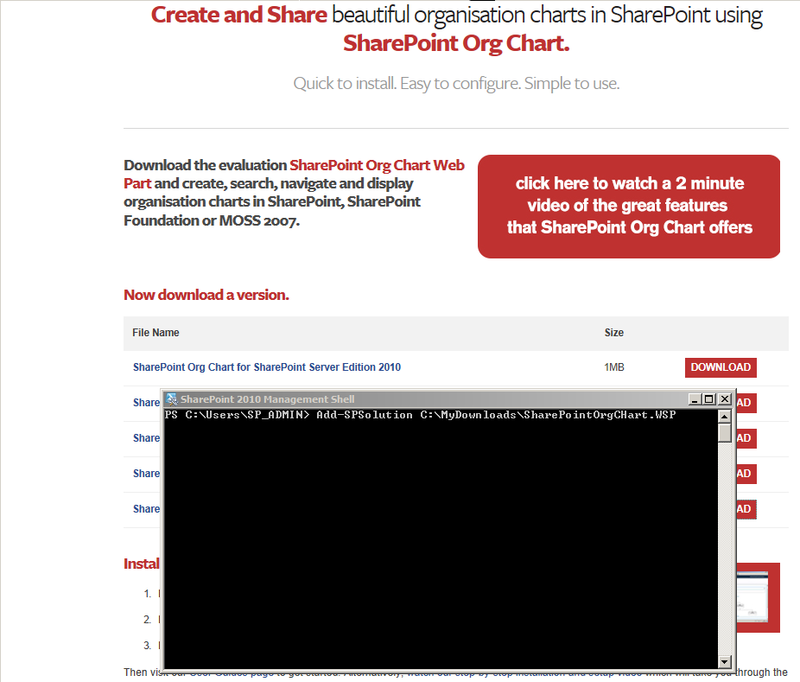 If the status is not Deployed click SharePointOrgChart.wsp and deploy the web part. 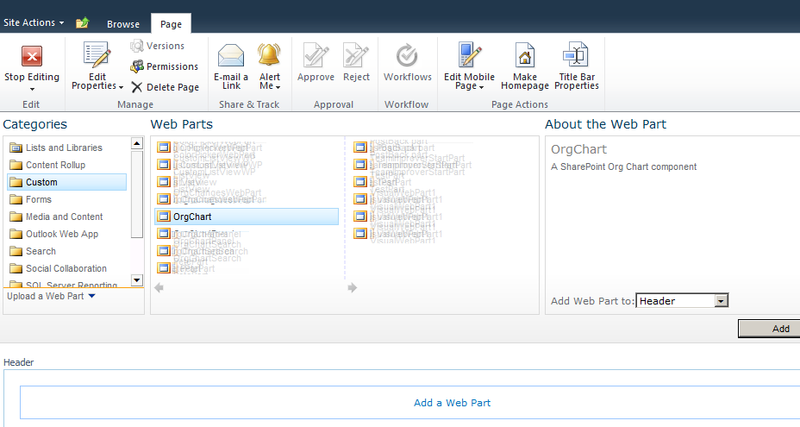 Within list of web parts locate SharePointOrgChart Feature1 and click the Activate button. 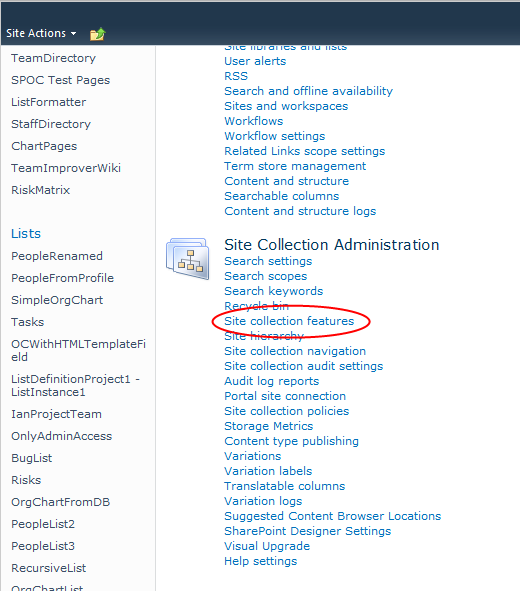 The SharePoint Org Chart web parts is now be available in the Custom web part category and can be added to a web part page.